Life Four Point Zero – Page 2 – It's time to go! 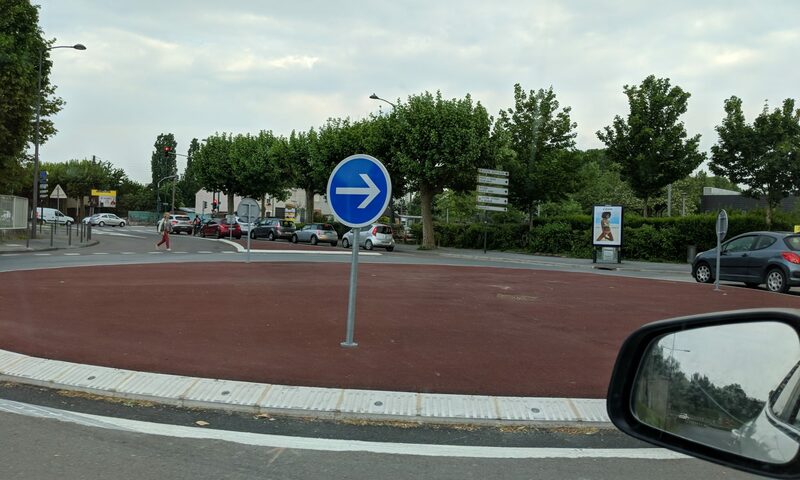 If you rent a car to explore France, like we did, you’ll need to get up close and personal with roundabouts. The French, and I suspect a lot of other Europeans, love these quintessential urban infrastructure anachronisms. On the one hand, they are highly efficient traffic cops, shepherding cars to their next exit without delay. On the other hand, they are technology-free, minimalist designs that could easily have existing hundred of years ago, and in fact they did, making your driving experience a true journey back through the centuries. For some reason, Karen and I had never, collectively or on our own, ever visited France. Maybe it was my high school language choice of German (which didn’t get me too far in Germany! ), or our leaning towards warm, tropical get aways. I must admit that after hearing several friends come home from France and report that the French were tough on those that didn’t know the language made this foreign language neophyte especially hesitant! 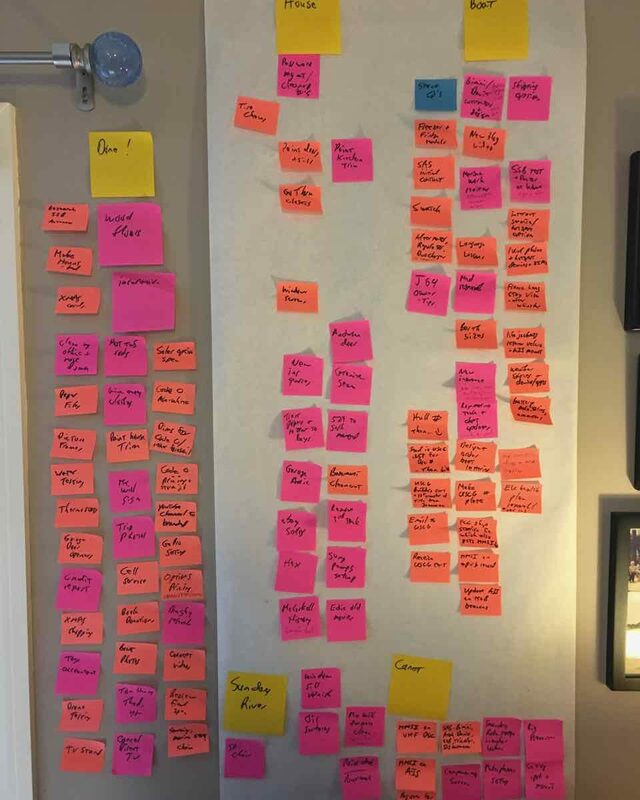 We are inching closer to the launch of our new boat, Sea Rose, with every day filled with to do lists – the kind that shrink one moment, and grow the next! Our boat is a couple weeks off schedule on it’s delivery and commissioning in Canet-en-Roussillon, but that’s a blessing in disguise, as we try to get all of our ducks in a row before the big splash. It took us over ten years of tweaks here and there to get Thalia to where we needed her for long-distance cruising, and while we are bringing that school-of-hard-knocks experience to bear with the commissioning of Sea Rose, it still feels like cramming many years of boat improvements into one Spring launch. Spring is coming tomorrow, and we all know what follows Spring. So, in the anticipation of warm, Summer days filled with boats and barbecues and beaches, I thought I’d share the recipe for my feel-good Kale shake. Check it out on YouTube. Also, you could consider it a belated St Patrick’s Day beverage (or tonic?). Do you have a special Kale shake, or other favorite nutritious drink? Add your comments here on our blog or directly on the YouTube video. Go Green! It’s winter in New England, which for some of you might conjure up romantic notions of snow-filled meadows adjacent to a snug log cabin with a rousing wood fire burning inside. 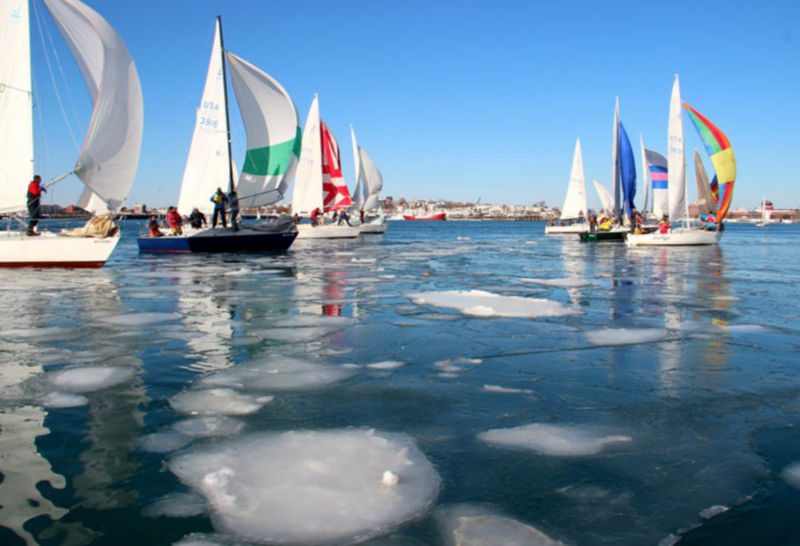 What it is not is a time for sailing, unless you are one of these crazy devils from the Boston Sailing Center’s Frostbite Racing Series. Instead, for Karen and I, we have been busy preparing to take delivery of our new Jeanneau Sun Odyssey 440 “Sea Rose” in France this Spring. I can assure you we will be posting lots of pictures and videos of our experience in the Mediterranean, where the only ice you will find is in the freezer or the cocktail glass! In the meantime, I just recently completed two YouTube videos related to our preparations. The first video explains our boat buying experience in Annapolis this past Fall, including the standout features of the Jeanneau 440. The second video details our new travel companion – the Google Pixel 2 phone and Project Fi service. 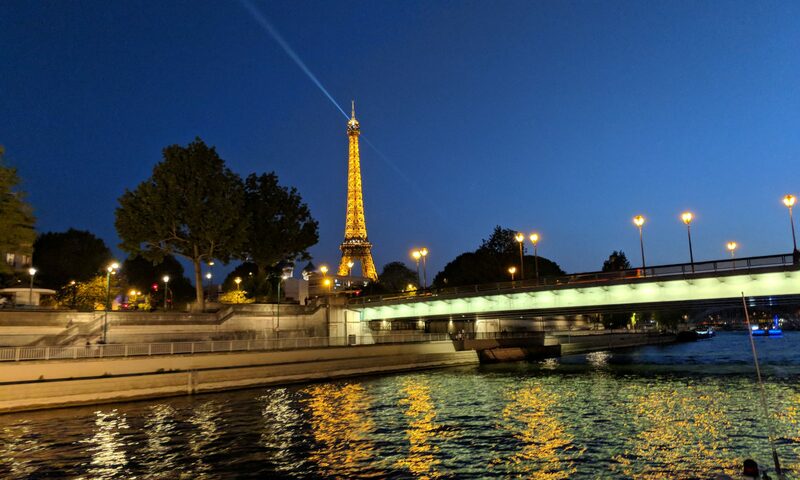 I’ll admit it didn’t take much to bring out the inner geek in me, but for any of you that travel overseas and need an easy way to stay in touch and online, these two solutions should be on your short list. If you enjoy the videos and want to be reminded when new ones arrive, simply click on the button at the end of the video to subscribe to our channel, LifeFourPointZero, or go here. And a thumbs up is always appreciated it! I have a crafty side! I love to make all types of things from knitted or crocheted scarfs and afghans to bird-feeders decorated with mosaics of broken china. I sew nearly all of my own curtains and have made many things for our sailboats. 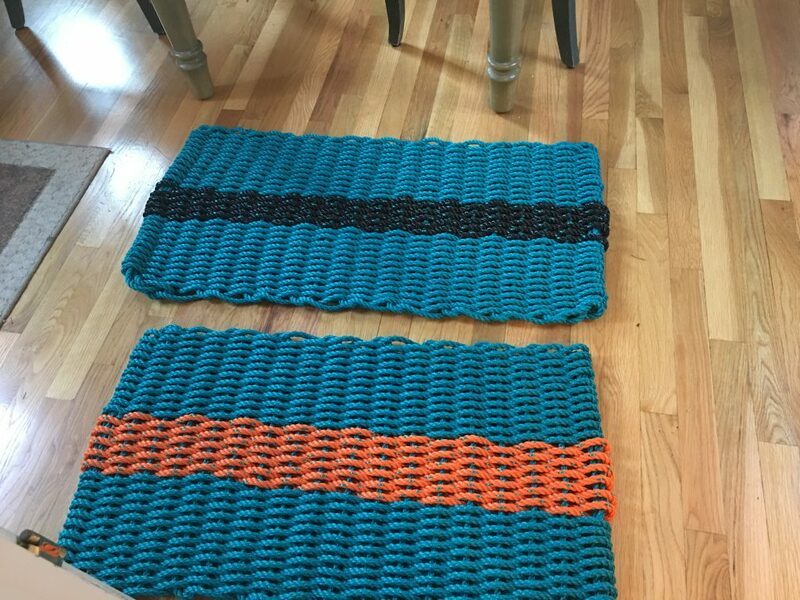 I hope to share my DIY / how-to tips for making things with our blog followers and this post on making a rug out of rope is my first entry on this topic! Hope you enjoy. 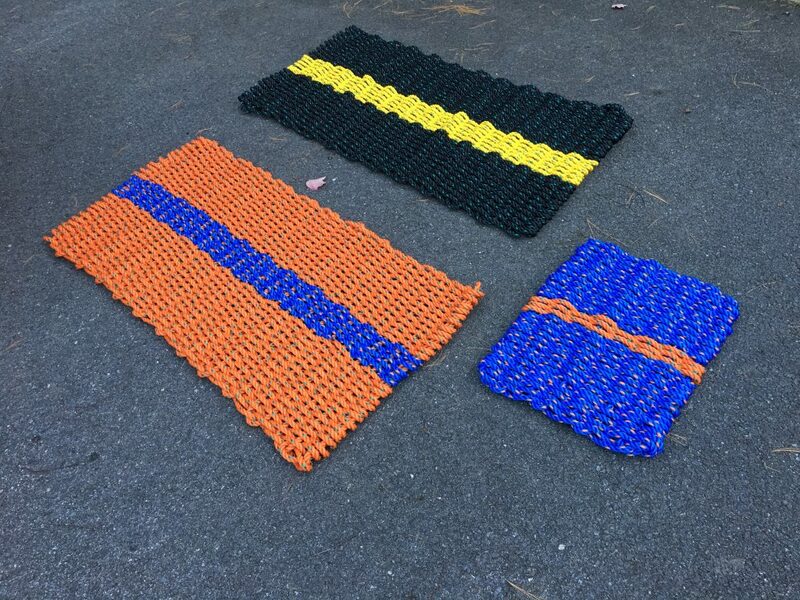 Below is a gallery of the rugs that have been made on a weaving loom I created specifically for rope rugs. 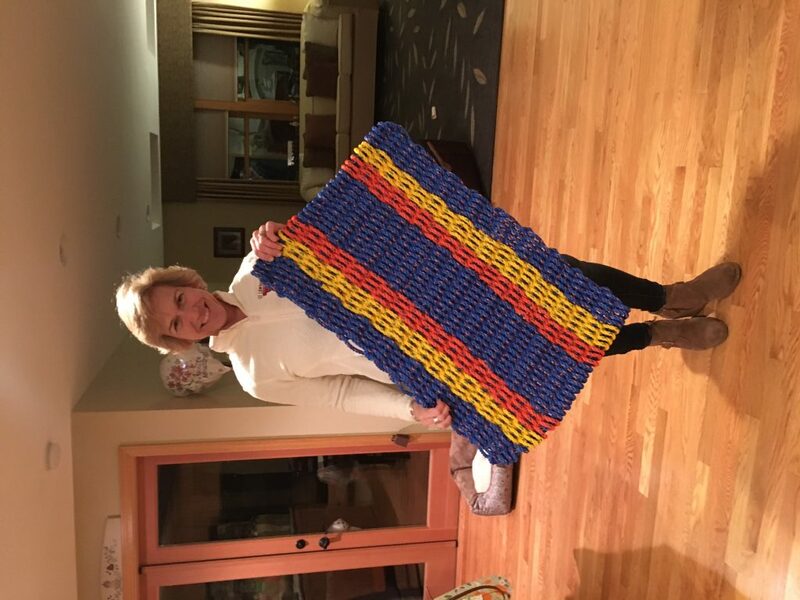 The best part is that once you have mastered something like this, you can invite a bunch of your friends over to drink wine while making rugs – what could be better than friends & craft projects together! 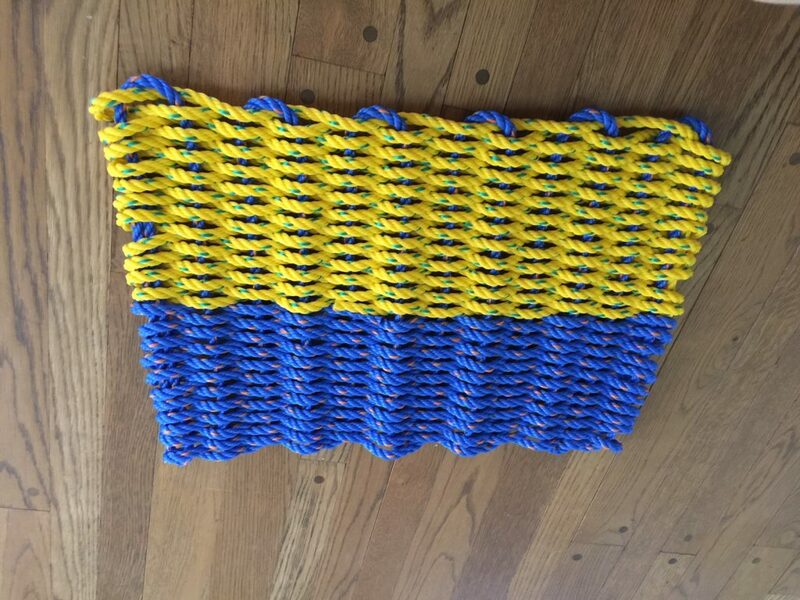 Skip reading and go right to the Youtube video on rope rug construction! You have probably seen rugs like these selling for anywhere from $45 to $75 dollars in trendy stores along touristy waterfront villages, right? Since I first saw these several years ago, I have thought about the best ways to make them and what I will show you is my second attempt … the first prototype crashed! It didn’t work at all. 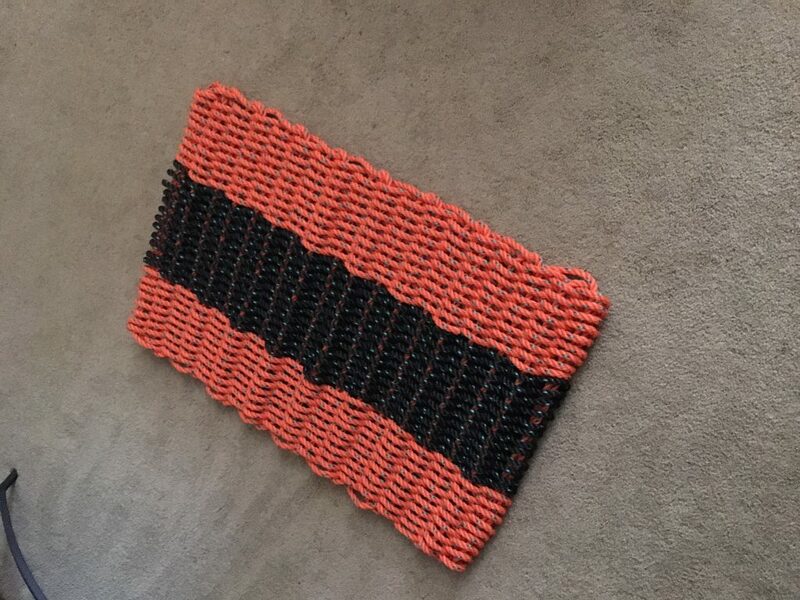 And, although I need to buy very large amounts of rope at a time to make the costs reasonable, I can make a large (45″ x 24″) rug for just less than $20 in rope. The loom cost me less than $30 for the bolts, pvc tubes, 2 x 6″ plank and other minor materials I needed to build it. 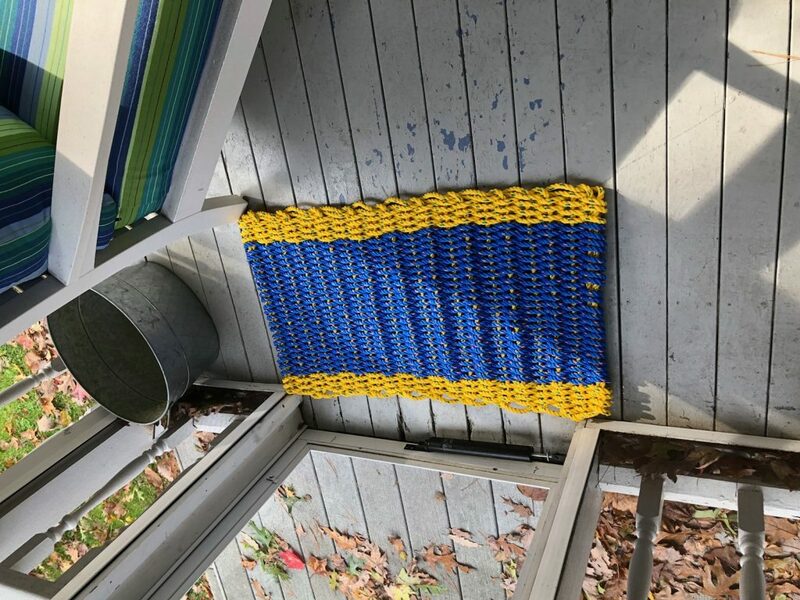 Watch this YouTube video on rope rug construction and please leave me any comments or questions – I would be happy to answer them! After owning and nurturing Thalia for 14 years, it is time to move on. Thalia is now up for sale at Navy Point Marine, in Sackets Harbor, NY, and we have bought a new boat! Our future adventures will now be onboard a brand new 2018 Jeanneau Sun Odyssey 440. If you had asked me several months ago if we would ever sell Thalia, I would have told you an emphatic “NO”! She had taken us up and down the East Coast, to the Canadian Maritimes, and to the Caribbean. The year we spent with the boys onboard filled our family bank with priceless memories. 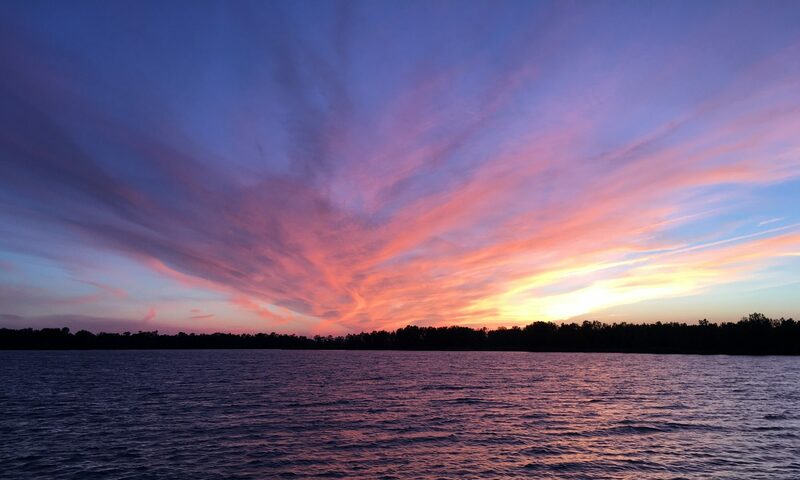 And our most recent adventure this summer, breaking into new territory in the Great Lakes and the canals, was more beautiful and charming than we could have imagined. Thalia was at her finest sailing us across the waters of our choosing with ease and grace, and at the end of the day we could enjoy her new amenities, including this year’s new dodger and varnished mahogany cockpit. But, alas, we ended up at the Annapolis boat show in October, walking the docks and the decks of as many new boats as we could manage during the show’s opening hours. Through it all, I remembered why we had not gone to a boat show in the last 14 years. Seeing all the shiny new boats, I knew the temptations would be too strong! The wheels had been set in motion when we listed our boat for sale with Navy Point Marine and realized they were a Jeanneau dealer. And conveniently, we hauled out a week before the Annapolis boat show. And, OK, I’ll come clean by admitting that there were a few days in the summer that I had been browsing the Jeanneau website and accidentally left a page open of a new beauty, as Karen was taking over the watch! The Jeanneau 440 is their newest generation of cruising boat design and has some very appealing features, the most notable of which is an inclining side deck that leads around the helm into the cockpit, making the transition from cockpit to deck very smooth. Unlike a lot of sailors that keep getting bigger boats, we are downsizing with this new boat, but Jeanneau has done a fantastic job with the use of space, making it feel very similar to the size of Thalia. With the Jeanneau plant in France, we opted to take delivery in the Mediterranean. If all goes as planned, she will be bobbing in the water in late Spring, ready for us to grab the reins and start exploring the Med. More news to come as it gets closer! In the meantime, if you want a fantastic long distance cruising boat, check out this listing! The wonderful folks at Navy Point will take good care of you.